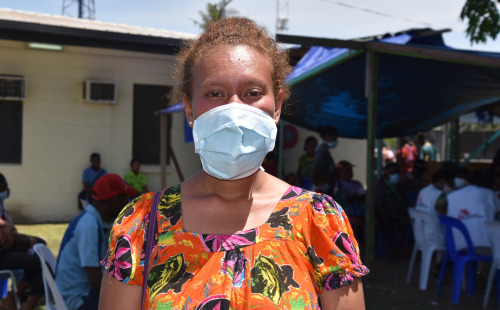 Giakila was diagnosed with drug-resistant TB at Gerehu Hospital, Port Moresby, where MSF supports TB treatment and diagnosis. Credit: Sophie McNamara/MSF. One of the key reasons for this abysmal TB report card is that governments are slow to scale up TB testing and treatment tools that are available today. For example, WHO first recommended use of a newer oral drug bedaquiline for treatment of drug-resistant TB in 2013. However, uptake of bedaquiline and other newer drugs remains very slow, with the medicines remaining inaccessible to almost 90% of people who could have benefitted from them in 2017. As the WHO just recommended bedaquiline now be used as the backbone of treatment for all people with multi-drug resistant TB— instead of medicines that need to be injected—governments must act rapidly to expand access to safer, more effective, injection-free treatment regimens. For decades, there has been chronic under-funding of research and development (R&D) for TB tests and drugs. Most tools available to treat TB have not changed much since the 1940s, and only two new TB drugs have been developed in the last fifty years. Today, only 25% of people with multi-drug-resistant TB (MDR-TB) are properly diagnosed and treated. People “lucky” enough to start the treatment have to go through a two-year-long painful process, involving nearly 170 injections and more than 12,000 pills, both of which can cause harsh side effects including deafness, psychosis and even suicide. Cure rates for multi-drug resistant TB are abysmal as only about 55% of people who receive treatment are cured.